Edward Benfeito killed a woman in this Dec 30, 2016, crash in Freetown, MA. Photo courtesy of Freetown Police Dept. FREETOWN, MA. 01/03/2017 — At approx. 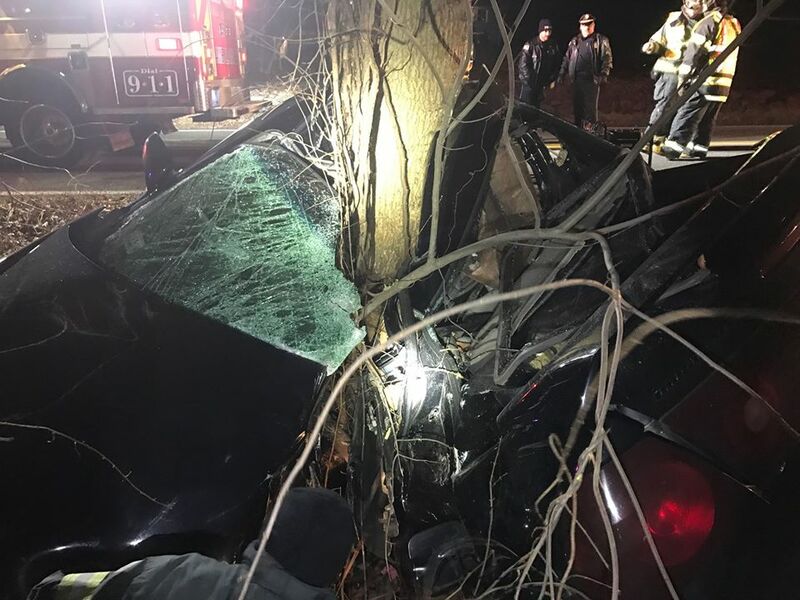 7:50 p.m., on Friday, December 30, 2016, Freetown police and fire personnel responded to Richmond Road where a vehicle was fully wrapped around a large tree, leaving one person dead. Arriving officers located a Chevrolet Impala that had been operating north, crossed the oncoming lane, passed down an embankment and collided with a tree. The force of the impact resulted in the vehicle being nearly wrapped around the tree and the driver being entrapped. The driver was pronounced dead at the scene. 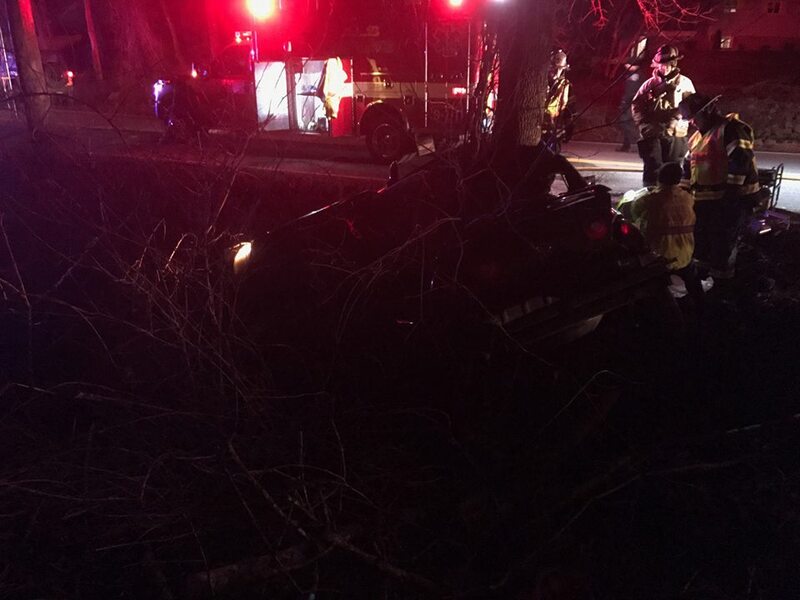 Police initially identified the driver as Jennifer M. Bartlett, age 36, of Freetown, MA. Police officers also observed an intoxicated male who was crouching next to the crushed vehicle and attempting to make contact with the driver. He told officers that he was a friend of the driver. Further investigation determined that he had been operating his vehicle and following the victim’s vehicle moments before the crash. Freetown Police reports that Edward Benfeito was arrested and identified as the driver instead of the dead Bartlett. 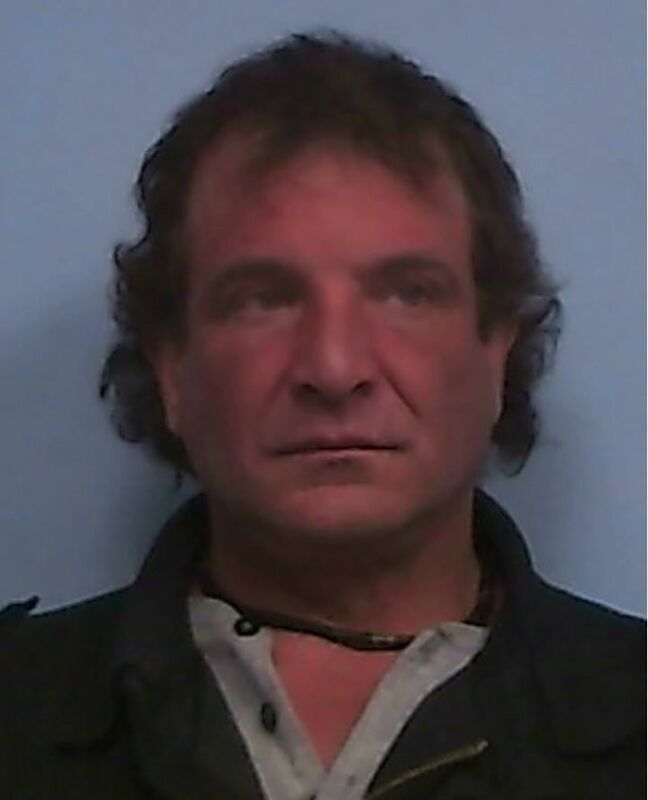 Edward Benfeito, 47, of 5 Rodney Drive, Freetown, MA., was charged with operating under the influence of liquor (second offense), negligent operation, and speeding. He will be arraigned on Tuesday morning at the Fall River Justice Center. The cause of the crash is being investigated by Freetown police and a Massachusetts State Police accident reconstruction unit. Edward Benfeito, age 47, 5 Rodney Drive, Freetown, MA. Crash scene. Photo courtey of Freetown Police Dept. This entry was posted in DWI arrest photos, DWI Arrests by State, DWI crash photos, injury or death and tagged Edward Benfeito, Fall River Justice Center., Freetown police, Jennifer M. Bartlett, Massachusetts State Police, operating under the influence of liquor. Bookmark the permalink.